Residents of StrawBerry Ridge know firsthand that it is one best retirement communities in the St. Petersburg, Florida, area. Located on SR 60 East in Valrico, FL, our 55+ community is just a short drive away from St. Pete and its many interesting attractions. We offer retirees 55 and older the opportunity to live in an affordably priced gated community with plenty of resort-style amenities that is in close proximity to one of Florida’s most enjoyable metropolitan areas. 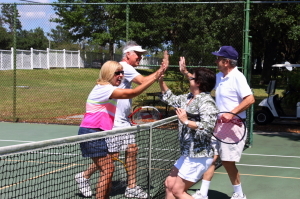 Unlike many retirement communities in FL that can feel downright isolated, StrawBerry Ridge offers a quiet residential setting that is only minutes away from The Sunshine City – a friendly community that has blossomed into a popular vacation destination with plenty of interesting things to do and see. To request more information about StrawBerry Ridge, and to schedule a tour to see for yourself why it is one of the premier retirement communities near St. Petersburg, FL, please contact one of our Lifestyle Consultants today. We look forward to showing you what that affordable Florida lifestyle is like!